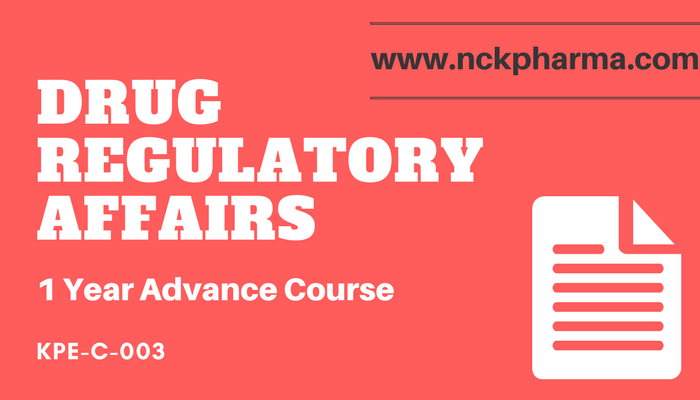 Pharmaceutical Regulatory Affairs courses are conceptualized with vision to create effective Regulatory Affairs Manager for Pharma Industry. This course gives practical knowledge of the functionalities of Regulatory Manager with practical exposure. A career in Regulatory Affairs is both a challenging and highly rewarding career. It opens up lot of opportunities as it covers a variety of disciplines. Individuals who are directly involved in regulatory submission, compliance, clinical trials, quality assurance, drug safety, pharmacovigilance and others are considered regulatory professionals. The Pharma industry is growing at a rapid pace and there is a rising concern over the safety and efficacy of pharmaceutical and medical device products. To maintain safety and efficacy in pharma & medical device products, regulatory agencies like US FDA,UK MHRA, EDQM, DCGI etc all over the world are imposing no of regulation. This has resulted in creation of distinct department with highly qualified professionals who will help companies meet these requirements with ease. Printed Book / printable booklet provided to all course participants. There will be total 18 books will be provided. Refer syllabus copy to view the details.